Our firm was founded by Jack Zuckerman, a former agent of the Bureau of Alcohol Tobacco and Firearms ( BATF ) three generations ago. He was a prominent figure in the development and regulation of alcohol tax drawback, distilled spirits tax, wine tax, related regulations and many other subjects. After retiring from the Bureau he became widely known and respected as the first alcohol consultant in the history of the industry. He helped many of the pioneers in the Flavor and Fragrance, Pharmaceutical and Distilled Spirits business, many of which have become the largest and most successful in their industry. 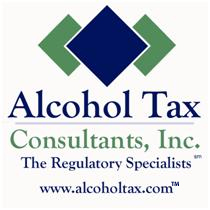 Alcohol Tax Consultants, Inc. is led by the industry's leading experts in alcohol tax and related regulations. Our team includes former senior level regulators from TTB and consultants with decades of extensive experience guiding successful companies in the Flavor and Fragrance, Pharmaceutical, Distilled Spirits, Chemical and Fuel industries. We offer you the competitive advantage of our vast knowledge and experience. The firm successfully helps businesses of all sizes navigate and comply with the confusing and continually changing array of Federal and State regulations governing the use, manufacture, sale and taxation of products containing alcohol. Alcohol Tax Consultants, Inc. works closely with the U.S. Alcohol and Tobacco Tax and Trade Bureau, ( TTB ), the successor agency of BATF (Bureau of Alcohol, Tobacco and Firearms and consults clients on all related regulatory issues of concern to the Flavor and Fragrance, Cosmetics and Pharmaceutical, Chemical, Fuel, Brewery, Winery and Distilled Spirits Industries. We are dedicated to supporting and serving the Alcohol Fuel Producer / Ethanol Fuel Industry and are proud to offer our services to companies helping to create and maintain new and exciting opportunities in this important source of energy. With experience unparalleled in the industry, we deliver the kind of expertise that your business requires. We offer pragmatic, efficient and personalized solutions to improve and protect your business. If You Have A Question Or A Problem, Contact Us Today! We Can Help. Its easy and we'll reply to you ASAP ! We look forward to hearing from you. Copyright Alcohol Tax Consultants, Inc.. All rights reserved.